Two of our posts which have gotten a lot of attention are my transformation and our first 30 day challenge course – Being You: 30 Ways in 30 Days, which has inspired the creation of A Better You: 12 Challenges in 12 Months. Some want to read 1-3 books on a topic, listen to podcasts and source a variety of opinions to get the emotional attachment and commitment they need. This is what I have done in the past. Others prefer to get the general idea, then tailor it to their needs. For regular readers, you know I love 30 day challenges, simply because 30 days is not as overwhelming and intimidating complete lifestyle change, it’s long enough to change a habit and make a noticeable difference. The objective of each challenge is to recover in a short space of time (in my case) years of “damage”, while replacing bad habits with good ones. The below are ones that have worked for me, so they may need to be tweaked to work for you. I must emphasise though, that you need to be very clear on the rules you create for yourself. Write them down, make them simple and definitive, also ensure that you have accountability in place. Each month I do a 30 day challenge to break the back of a particular issue I am facing and I tend to retain a the habits, but with a more manageable intensity level. My current challenge is to improve my running style so I can be in a position to run a marathon next year. The order was tough to do and is an example, because each person may have something that is more urgent or key to changing their life. I have gone with Mind -> Body -> Wallet. It is of course all inter-linked with feedback loops. So tailor them for your needs, maybe only commit to 3 in 3. As the 25% you do, is far better than 100% you plan but don’t do. Sleep Routine Challenge – There are some great articles on sleep routine by Shawn Stevenson, Arianna Huffington and here. This was one of the hardest challenges for me and most impactful for me, as I had struggle to sleep since I worked a blend of days and nights at a hotel to fund my university studies, I completely disrupted my sleep patterns and I was unable to sleep for more than 2-4hrs in a row for almost a decade. I tried numerous supplements and was getting desperate. I finally got so tired of being tired, that I researched it more extensively and I followed a regimental sleep routine 5-6 nights a week for a month. It took a while, gradually I began to sleep better. Now I regularly sleep through or perhaps only stir once briefly and I can be a bit “looser” on the rules and still get a good nights sleep. Mindfulness Challenge – I wrote a blog piece specifically about Mindfulness as there are so many misconceptions. The post includes a number of key resources. Otherwise take this free mindfulness course. Being You Challenge – 30 Ways in 30 Days – This is about resetting your perspectives and priorities. We are in such a rush these days, that we risk missing out on life, we drift, we day dream, we risk waking up when our lives are almost at an end. Sign up for the email course here. For those already doing this, check out some of the alternatives below. Better to be around challenge: Complaint free, gratitude and present– No one likes a whiner (I haven’t managed to stop, but trying has made me better). To go complaint free, try wearing a band on your wrist and switch sides every time you notice yourself complaining, switch wrists. Ask yourself, will this make a difference one year from now? For gratitude check out Shawn Achor’s Ted Talk, then commit to journaling at least 3 gratitudes daily, I use the 5 minute journal. For being more present, focus on being present in conversations, this can be done by when you feel yourself getting distracted, take a moment to become present by noticing your breath or the feeling in your big toe. Then when ready, switch back. It may be better to pick one or two of these three, than try to do all of them. Consumption challenge: Sobriety and/or Water – The purpose of this is to flush and detox your body, giving your kidneys and liver a much needed break. 30 days without an alcoholic drink. I have done this twice this year. This wasn’t a “I shouldn’t drink”, that is a restrictive mindset, I had a “I don’t want to drink” a more effective enabling mindset. If you need a more structured approach, have a look at Jack Hanfield’s (Chicken Soup fame) 30 Day Sobriety Solution. For the Water challenge, there are a few options. Carry a water bottle and set reminders to fill it up. If you are a regular coffee drinker, make a deal with yourself that for everyone X cups you need to drink X cups of water. Alternatively drink 4 glasses before lunch and 3 glasses of water before home time. I used to mark them off on a piece of paper to keep track. Find out what works for you. Mobility challenge – I spent a month fighting off the debilitating impact of the “desk job“. I had a frozen left shoulder for 8 years without realising it and hunched shoulders which I wrote off to structural problems. I have managed to reverse most of the damage, by setting a reminders to regularly do mobility exercises. These are not stretches (muscles), these are movement exercises (joints). The Art of Manliness has some great posts on this including wake up, slouching and desk job damage. Find 5-10 simple mobility exercises that are most appropriate for you. According to Gymnastic Bodies, as adults our joints take 3x as long to recover as our muscles, so we feel good and increase the level of intensity too quickly. Then get injured. If Gymnastics Training appeals – check out this extensive resource as a great starting point. Technique or form challenge – This should be linked to your fitness challenge below, this is about reducing the chances of injury and increasing the chances of success. For example I personally want to run a marathon next year and want to prepare properly. At this point, I have never run more than 10km. So I signed up to vivobarefoot, the £100 is a bargain compared to getting injuries and enduring unnecessary pain. So dependent on the fitness challenge you chose, spend 30 days preparing your body for it. 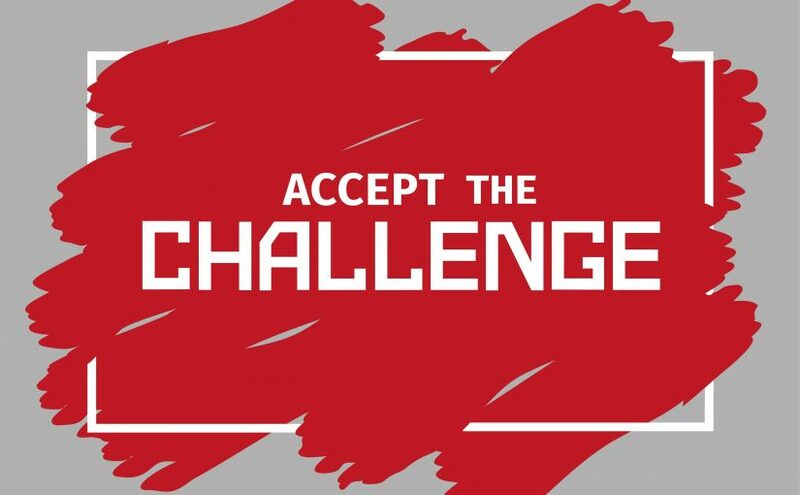 Fitness challenge – For me, it will be to run a marathon next year. But I started a few years ago with Couch to 5k available for free in the Runkeeper app. Alternatively scour the internet and find a plan that works for you. Start easy, run 100m, walk the rest. Then perhaps run from one bus stop to the next, then walk until the next. Slowly build it up, careful not to over do it, that causes injury. Although it is great to push yourself, only do it once a week, this avoids a negative mental association. Intolerance challenge – Sugar (5g or more per 100g), Dairy and/or Wheat (Gluten) free – Along with Alcohol, these are the most common intolerances people have. My view is that everyone has different degrees of intolerance rather than it being binary that you are or aren’t. Wheat was a trigger for me, it made sense as well, decades of toast for breakfast, sandwiches for lunch and pasta for dinner. Well duh! I now watch my in-take, but still indulge in pizza and other triggers, but less frequently. This challenge, will generally result in the exclusion of carbs, which most people need at least some of, as it is important for cognitive function. What this is about is breaking the addiction and reducing the current agitated state. I reckon most people are more intolerant than they think or pretend to believe. The beauty of this is that you end up skipping a lot of processed foods. Pick the one you suspect is the most problematic. Gut Reboot challenge – The gut along with the lungs are the access points for fuel to enter your body. There are numerous versions of a gut reboot, so this is a simplified one. For the first week go gluten & dairy free, live off smoothies and soups, it’s easier and more enjoyable than you would think. As you take the choice out of it. In the second week slowly re-introduce solids once a day, but avoid the common intolerances. In the third week re-introduce either gluten or dairy. Now, monitor the effects, is it worth it? In the fourth week add back the other common intolerant, again monitor the effects. Consider taking high quality supplements during this challenge including probiotics, magnesium, digestive enzymes and vitamin B complex, but this will be highly dependent on your personal situation. Vegetarian challenge – This was “enforced” on me by a housemate who has decided to follow a vegetarian lifestyle. Some people in our house decided to cook parallel meals. I decided to only cook vegetarian. It has allowed me to be more creative in my cooking (and generally healthier and cheaper). I seldom cook meat these days. If you “can’t” go meat free, maybe commit to only cooking vegetarian or going meat free certain days of the week. Finance challenge – This is about becoming a bit more conscious about your spending. The general apathy when it comes to becoming financially literate continues to astounds me, people are quick to say “Why wasn’t I taught this at school” and then do nothing about it. For Week 1 – Buy a small notebook and write down everything you spend your money on, ignore monthly bills if you like, this simple exercise will transform your spending. Note this is not about spending less, it’s about being aware where you spend your money. Week 2 – Review your bank statement. Ensure you have automated all payments you can, move what you can to the day after you are paid. Week 3 – Find 2-3 regular expenses to reduce or eliminate. Week 4 – Use the saved expenditure to increase the amount invested in future self. Consider using Save More Tomorrow, where for every increase you commit 25%-50% to go into your Pension, ISA, other Investments or simply paying off your mortgage quicker. Perhaps kick it off by taking our free course in financial literacy. Keen to get started? – Re-order it to something that makes sense to you (remove and add to make more relevant from alternatives below), set yourself a monthly reminder and add the link to this post to refer back to if need be. Alternatives – If you don’t like/need one of the above, dig into the links below. I haven’t looked at all of them closely, but figure if one of the above is of little benefit to you, then you can easily find a more suitable one of the below. Breath – Common wisdom is that we can go 3 minutes without air, 3 days without water 3 weeks without food. Yet most people spend little or no emphasis on breathing techniques. Yoga or Tai Chi are great intuitive approaches. For a more scientific method have a look at Oxygen Advantage. I went from a bolt score of 3 seconds (elderly or sick) to 16 seconds in a month.